Forget The Instructions | YoRocko! Forget The Instructions – YoRocko! Note: this is the second of four posts reflecting on this year’s high school mission trip. Find the first post here. So it’s our last day of service. 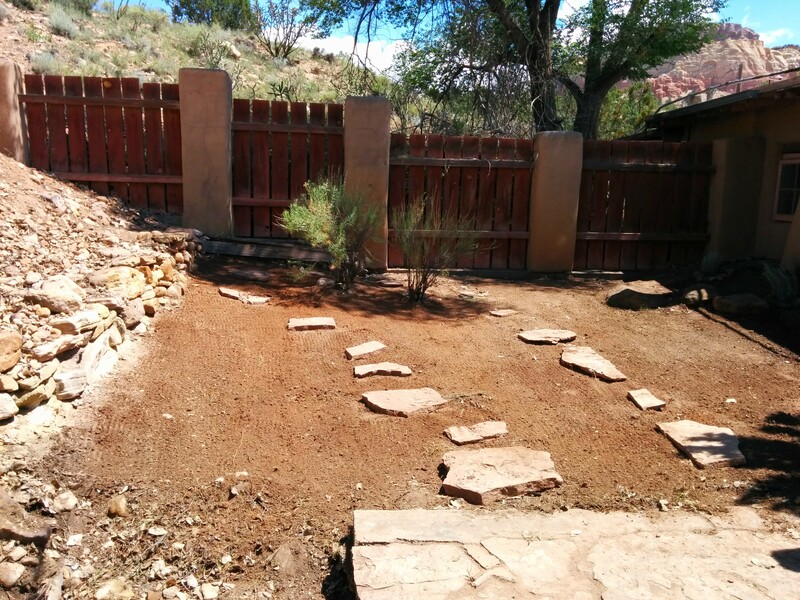 Our project is straightforward, and the instructions are simple: clear brush and weeds from a patch of dirt and an arroyo behind one of the ranch’s office buildings. There are about 20 of us. The mood is jovial. There’s even a game of Truth or Dare going on. But a few students can’t get into it. I’m doing my best to rally some enthusiasm with upbeat talk, positive reinforcement, and even my own example as I dig in the dirt to uproot pesky weeds. But they’re not responding. They sit listless in the dirt and pathetically poke at the weeds with their hand trowels. I’m despondent. Then, with about 10 minutes left to work, one of them catches a vision of our little dirt patch as a zen garden. He enlists two of his peers to help him clear the rest of the area of weeds, and then the three of them two-hand heave discarded rocks to form two walking paths. Then they rake the thing into a placid sea. Repeatedly they’re told to stop, that it’s time to go to lunch. But, as they’ve done all morning, they ignore those instructions and work til they were satisfied. Mission is more than following instructions. It’s following a vision of an alternative future more compelling than mere maintenance and blowing through stop signs. Sometimes mission means making better instructions. Pingback: Why I’m Banning The Phone Ban | YoRocko! great insight. Those last ten minutes are rough all around sometimes. Pingback: 10 Learnings from The Youth Mission Trip | YoRocko!